It’s definitely fall. Yup. Shorter daylight hours, leaves changing color, chilly mornings! And when the morning temperatures start dropping below the 60 degree mark, it’s time to pull out some of my favorite cooler-weather cycling gear. My *awesome* circa 2003 children’s large motocross gloves – great for mountain biking, and decent for commuting on 50 degree mornings! 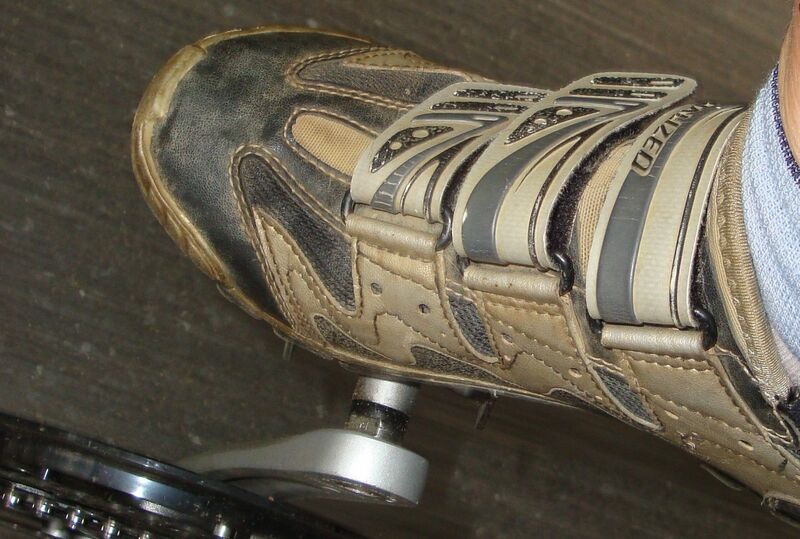 Adding to the 2003 collection – mountain bike shoes! But not to pick or whine, it’s also pretty cool that while I did beat up on a lot of this gear, it’s 7+ years old and still doing it’s job, and while I wouldn’t mind some new gear – if my fall essentials work, perhaps I’ll keep the 2003 shoes and gloves and save up for some new knickers. Knickers are the essential fall item after all! 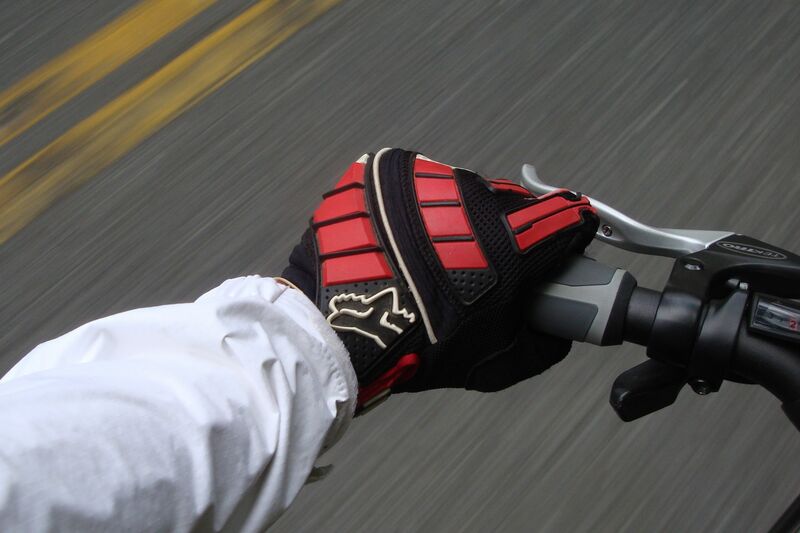 Add more use to those motorcross gloves by adding a poly or knit liner. 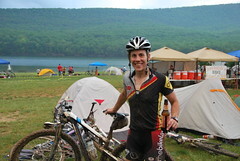 I ride with basically the same gloves you have with liners down to 35 degrees.